When you think about building a sustainable home, you have a lot of things to consider. The house we live in has a major impact on the environment. If you develop an environmentally friendly home, you don’t only save more money in the long run, but you also reduce your impact on the environment. 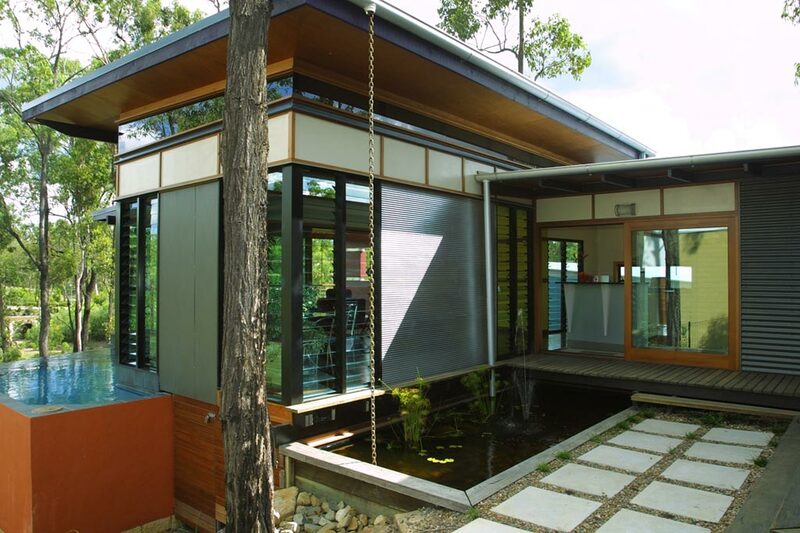 In what follows, we will provide you a few tips you should consider for a sustainable house design. This represents the first step to consider when building a house. Therefore, you should consider building a sustainable house somewhere near public transportation. In this way, you will reduce your impact on the environment. Furthermore, you should use existing infrastructure, and you will be able to protect the environment. Another important thing to keep in mind is to avoid hazardous areas like flood zones. However, if you decide to build your home on a hazardous site, you should at least make sure the house can withstand that particular hazard. Specialists indicate that smaller houses are far more efficient. In this way, you will be able to reduce energy needs and material use. When designing it, you need to think about your needs, and you should try not to overdo it when it comes to size. A smaller house will always be more affordable than a larger one. The orientation of your house will determine how much natural light will enter your house. If you live in the northern hemisphere, in a cold climate, you will be able to at least enjoy the sun. However, you should consider building your house with more windows facing south. In this way, you will even maximize sun in the winter. Hence, you will not only use more natural light, but you will also heat your home. You should not develop more windows facing West. This will provide lots of heat in the summer. However, if you already have more windows facing West, you should plant a tree there to block some sunlight. Furthermore, you should consider planting a deciduous tree in front of your south-facing windows. In this way, the tree will block the sunlight in the summer, but it will lose its leaves in winter. You could also use a roof overhang and sun shades. A roof overhang could be a good idea since the sun is higher in the summer. In the winter, the sun is at a lower angle, without being blocked by the overhang. If you build a house which spread out and very wide, it is going to be less efficiency and more heat loss than a compact one. A taller house is more efficient than a wider one. 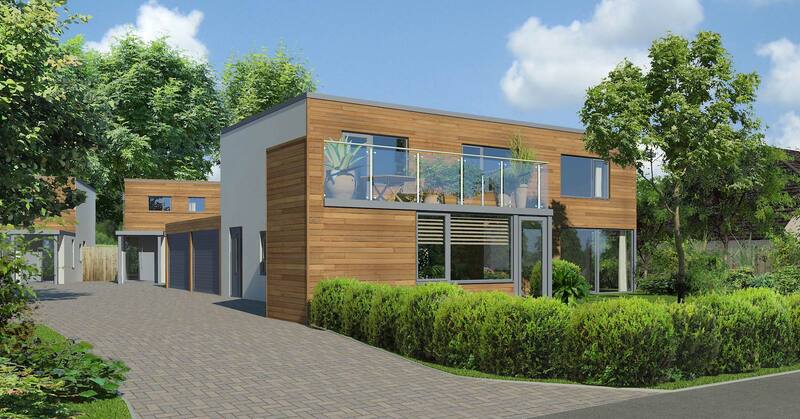 By developing a sustainable home, you will be able to protect the environment and diminish your impact on it. You should consider using local materials to avoid spending a lot of money on shipping. If you buy locally milled wood, it will be less expensive than purchasing it from across the country. Furthermore, if you find a local stone quarry, you should use their stone to develop your patio. When building a sustainable house, recycling is very important. Depending on the area you chose to build your house, the materials which are available will vary. Try to use materials which are reused, reclaimed and recycled. The list below includes some materials made of recycled products that you can use to develop your house. You should use materials which do not include Volatile Organic Compounds (VOCs). Top 9 Most Sustainable Countries in the World: What Are They Doing Right? This is a crucial part of building your sustainable house. You have to learn more about R-value, which represents the insulation value of a material. Hence, you will need to make sure that your home has a sufficient R-value for your climate. You should know that there are different types and techniques you could implement insulation. It is important to insulate your home to be able to keep the hot air out during the summer and prevent it from escaping from the house during the winter. This goes hand in hand with insulation. This is one of the lesser known energy efficient home design trick. By taking care of air sealing or draft stopping, you will prevent warm air from leaking through your house. Therefore, you need to seal all the cracks and openings through your walls and roofs, also including electrical conduit, vents, doors, and windows. You could implement the use of closed cell spray foam insulation. It covers up cracks, small holes, and openings in the construction. You have to carefully select your doors and windows in order to reduce heating costs. They should feature appropriate weather stripping to keep out the elements. Furthermore, they should close tight in order to seal the opening. If you use energy efficient equipment, your energy bill will be reduced. Therefore, you should implement the use of energy star rated appliances. Consider purchasing water heaters, ac, and heating units that are energy star rated. To continue on the same note, LED lights will also help you in your sustainable house since they are energy efficient. They will reduce your energy costs, and you will not need to change the light bulbs for several years. Even if they are more expensive upfront, you will still save up on electricity. Try to install plumbing fixtures which have reduced water usage, including toilets, shower heads, and faucets. In this way, you will save up more water. However, installing these can imply extra costs, but in the long run, you will avoid wasting water, having an efficient, sustainable house. All these tricks and tips can help you start building a sustainable home. Besides using recycled and reused materials, you will also be able to diminish costs on your energy, heating and water bills. Make sure you insulate your house and cover every crack and opening to avoid draught. Use LED lights and try to include as many windows as possible to use more natural light.